Play the Aloha Clusters Pays Slot now! The next big online slot release from Netent titled Aloha Cluster Pays is scheduled for release on the 22nd of March 2016. 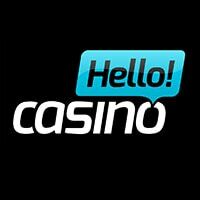 There are however a few select online casinos which tend to get these titles a week or so before the official release and over the last few days we spotted Aloha Cluster Pays live and playable at several of our recommended online casinos, including casinos such as Kaboo and Betsafe. 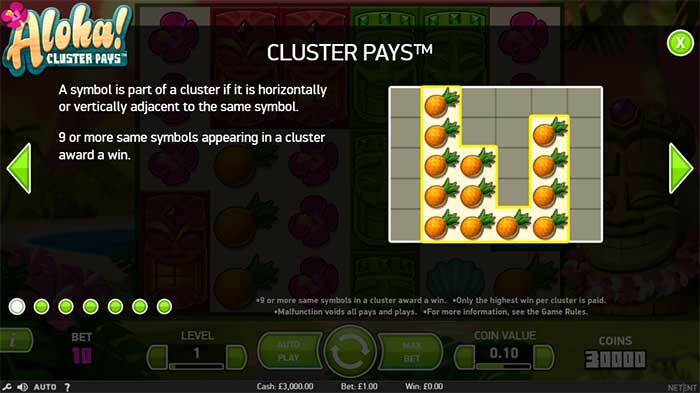 The Aloha Cluster pays slot has quite a unique concept, set in a slightly larger that usual reel set in a 6×5 layout the slot has no paylines as such, instead winning combinations are formed when clusters of symbols land together of the reels. The minimum amount of matching symbols required in a cluster is 9, which increasing pays for more of the same symbol right up to 30 of a kind. In the base game, there is also the possibility of a “sticky re-spin feature” which can occur on any winning spin, when a cluster is formed the remaining symbols on the reels will respin and if further symbols are added to the edges of the cluster this process continues. The main bonus round to be looking forward to is a free spins bonus with a unique feature active. 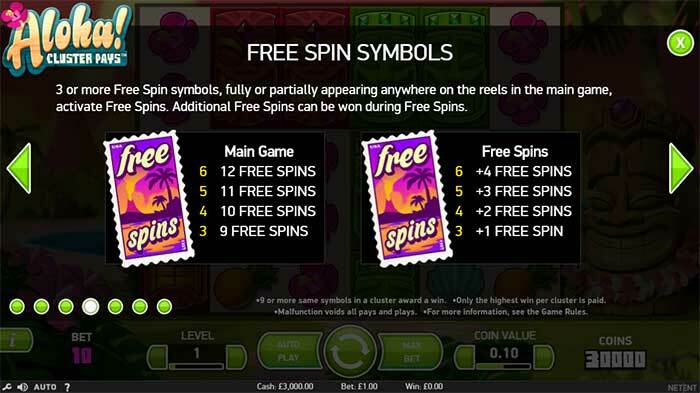 During the free spins round after certain free spins have taken place the lower paying symbols that are on the reels can be removed, leaving just the higher paying symbols left on the reels and increasing your chances of forming cluster wins. Not only this but you can also gain extra free spins with a bonus re-trigger during the round too, and things start to get interesting once most of the lowest paying symbols have been removed from the reels. Overall, it’s an interesting slot release from NetEnt with an unusual mechanic that replaces the regular payline layout or pay any-way formats. The slot has some decent potential in both the base game and bonus rounds and the possibility of full screens of all the various pay symbols too, but isn’t super high variance to just instantly eat through a bankroll. 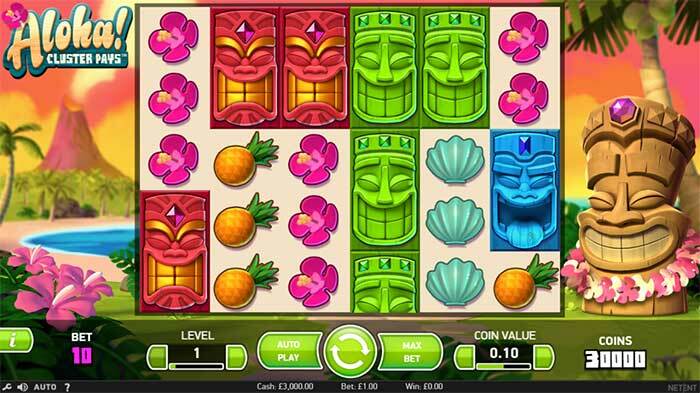 The great news is there will be some huge NetEnt promotions starting on the official release date of the 22nd March, did someone mention Holidays to Hawaii and 1000’s of Free Spins?